Rocketing costs associated with dog attacks and livestock will come as little surprise to FG readers, with some seeing the heart-breaking devastation they cause on a weekly basis. The research by NFU Mutual also lays bare the realities of living and working alongside a general public which, on occasion, shows little regard for the consequences of its actions, seemingly meandering through the countryside in blissful ignorance. Why do 60 per cent of people think it is perfectly acceptable to let their dogs roam free among livestock? 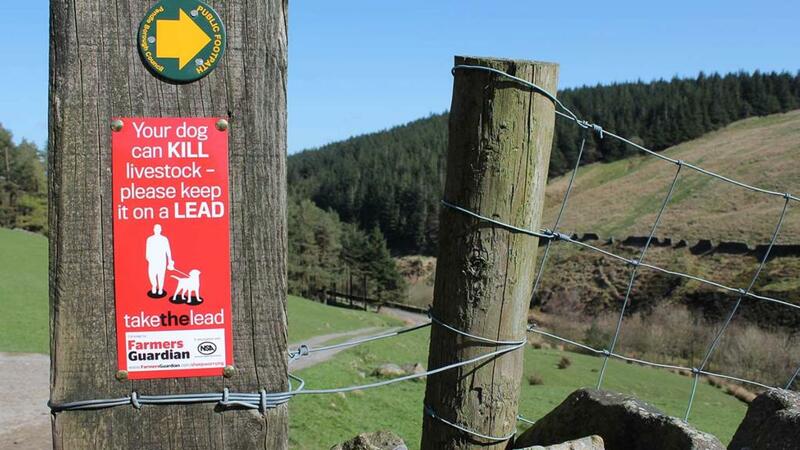 It is not for a lack of effort from farmers and the wider industry to educate dog walkers about the risks their pets can pose and how simply clipping on a lead can make their outings safer for them and all our animals. Over the years, FG has worked tirelessly to raise awareness through its Take the Lead campaign and, more recently, worked with the All-Party Parliamentary Group for Animal Welfare (APGAW) to tighten up legislation around the issue. It may come as a surprise that livestock worrying is not a recordable offence; in that police forces are not required by the Home Office to include livestock attacks as part of their overall crime statistics. Worryingly, it means this sort of crime is falling under the radar. If it is under the radar, then police cannot deploy the resources to tackle it. If farmers feel the police are not taking the issue seriously, they are less likely to report it – and so the vicious circle continues. That is why APGAW has called for accurate statistics to be collected and guidance provided to police in order to gather a true picture of the issue and to fight the problem more effectively. A sensible but big step, and only made possible through FG and key stakeholders’ lobbying efforts to bring about lasting change. And, while the Mutual’s figures make for uncomfortable reading, they will surely add weight to our calls for action to be taken and for dog owners to sit up and listen.